New Kubota M6-141DTC. Equipped with 24 speed Intell-Shift transmission, LA2255 loader and grapple bucket with 3rd function valve, rear wheel weighs and 3 remote hydraulic circuits. 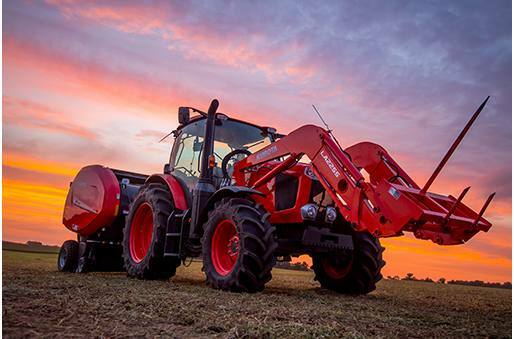 Perfect chore tractor on the farm or ranch. Take full advantage of the largest M6 Series model, the M6-141, equipped with a powerfully dependable, cleaner-running 141.4 HP Kubota diesel engine and 24F/24R Intelli-Shift transmission. 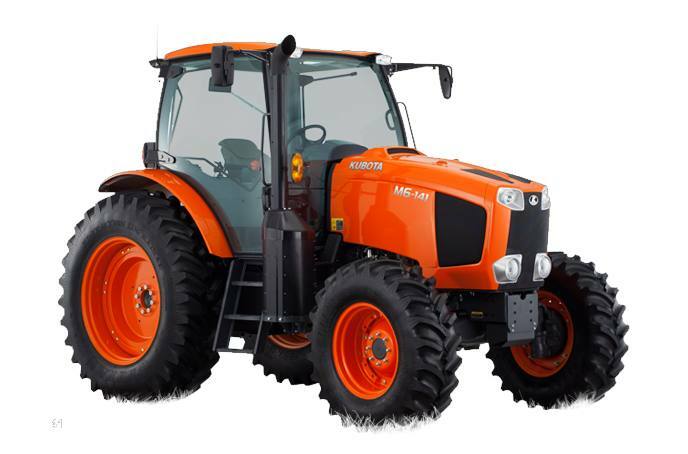 This mid-size utility ag tractor delivers performance with control and maneuverability as well as helpful features such as the tilt and telescopic power steering, Kubota-exclusive, bevel-gear front axle and Work Kruise.